UPDATE: A euthanasia list has been released for May 17. TWENTY-FIVE dogs will be put to sleep, including Teka there, unless they are found a home. Please help spread the word! The first 25 dogs listed on the Friends of Pasco County Animal Services Facebook Page will be euthanized if they can't get a home or a rescue to step up. Find the list here. Last week we talked about Pasco County Animal Shelter's critical need to get animals adopted or rescued and out of the shelter. While many dogs were saved last week, the need is still great because more dogs come in every day. Now through Saturday, May 18, Pasco County is waiving adoption fees. They are also looking for rescues and fosters to take some animals out of the shelter. She's a stray pit mix that was supposed to be euthanized last week. She has some $220 in pledges to help pay for her costs, but no one, not even a rescue, has stepped up to the plate. She's labeled aggressive, but volunteers say she's just scared. 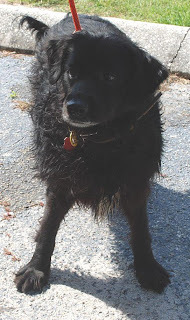 Lady Bug is a lab/cocker spaniel mix. She was sent to the shelter because the owner couldn't afford her anymore. D-0201... that's the designation. No name. 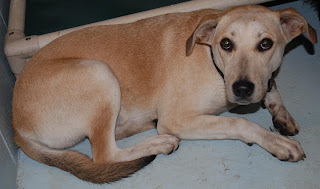 She's a lab mix, yellow and white, and very scared at the shelter. Seems to be ok with the other dogs. 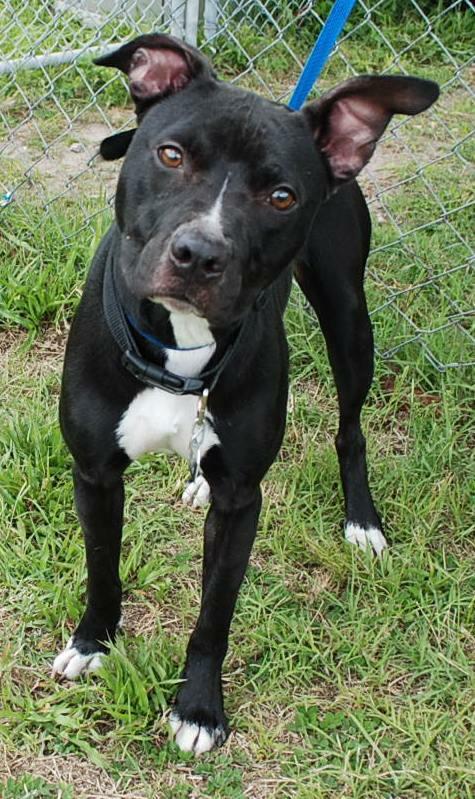 "D-0218" is a young female pit mix, who has lots of energy and is friendly with staff members. She might need a bit of training though. "D-0174" is a male fox hound mix. This old gentleman was released by his owners because he allegedly became aggressive and bit the owner's wife. The staff though says he is very friendly. He does have a growth on his right eye though. These are just a sampling of the dogs still at Pasco County County Animal Shelter. If you are looking for a dog, now is a great time to find a new companion and save a life. 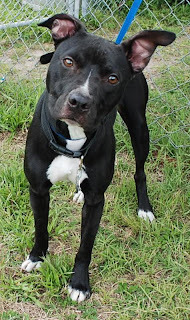 You can find more dogs, and more information about each dog on the Friends of the Animals of Pasco Facebook page. 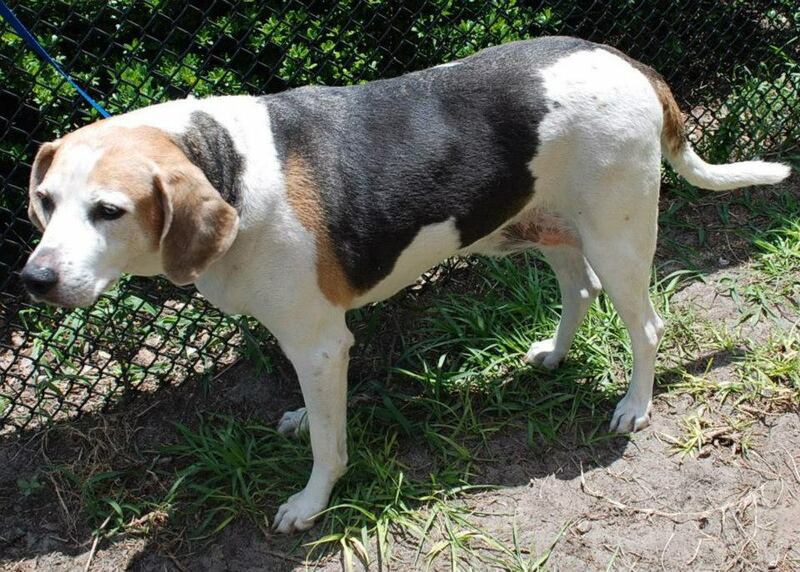 The shelter is at 19640 DogPatch Lane in Land O'Lakes Florida, 34638. 727-834-3216 or 727-834-3218 or 813-929-1212. You can also email the shelter if you want to get a particular dog. Email to adoptionpartners@pascocountyfl.net The subject MUST be IN CAPS: ATTN DO NOT EUTH , and then include the ID # of the dog. Waiving adoption fees sounds a good idea as long as they end up in loving homes, i hope all the dogs find there forever homes. more often. Some fees are so high. So sad. It still breaks my heart about Marley. Keeping fingers crossed that they will find forever homes. Thanks for joining the blog hop. I'm not sure if anything will help them.